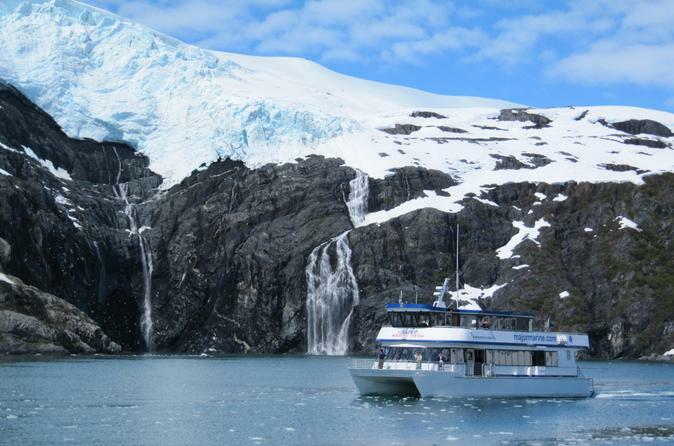 This catamaran cruise travels deep into the calm, protected waters outside of Whittier, providing the best opportunity for both wildlife and glacier viewing in Prince William Sound. Watch for sea otters, porpoises, harbor seals and whales. Visit Surprise Glacier and get up-close views of an active tidewater glacier. Travel through Esther Passage, a narrow marine waterway surrounded by mountains, and visit a sea lion colony, bird rookery and working salmon hatchery. Your cruise is narrated by a National Forest Ranger. Enhance your experience with the purchase of an Alaska salmon and prime rib buffet. 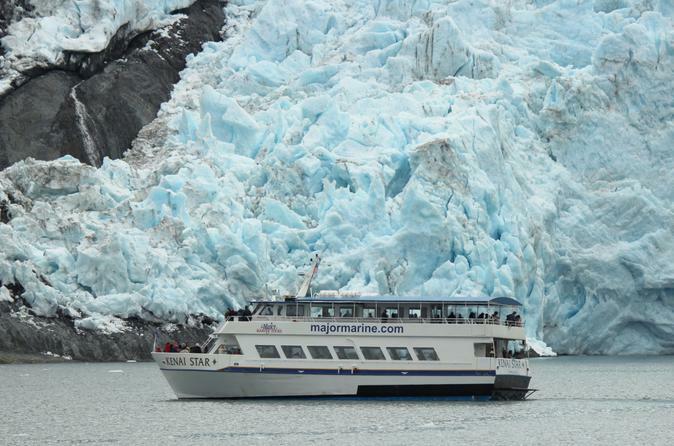 This 4.5-hour glacier cruise ventures into the calm, protected waters of Prince William Sound, where seasickness is highly unlikely. Visit three active glaciers to watch for spectacular glacier calving, where massive chunks of ice break off crash into the water. Nine alpine and cirque glaciers are visible in the nearby mountains as you cruise. You'll also see breathtaking scenery, waterfalls and wildlife such as harbor seals, sea otters and seabirds. Your cruise is narrated by a National Forest Ranger. Enhance your experience with the purchase of our Alaska salmon and prime rib buffet.